Cuba is a unique adventure. Authentic in a sidecar, a Russian Lada or a comfortable Chaika limousine. Drive along the Malecon in a convoy of original Coco taxis or enjoy a classy ride in classic cars to a gala dinner. With horse-drawn carriages, yellow school buses or modern Cubykes discover the outskirts with exciting stops in Cuban gyms, boxing schools, street stands and art studios. Take part in a baseball game or have a race on crystal clear water with a stand-up paddle (SUP). «The old lady without make-up», as Havana is called, enchants all her guests. The talent of cuban artists and musicians confers a caribbean feeling and takes you to another world. One will understand why the big mafia bosses made the island their Mecca in the thirties and why Hemingway spent so much time here as well. Discovering, moving, advancing and having fun together. With salsa in your hips, one of the world's best cigars in your mouth along with a sip of rum, you can thank your employees and customers. Such an experience increases motivation, loyalty and commitment. 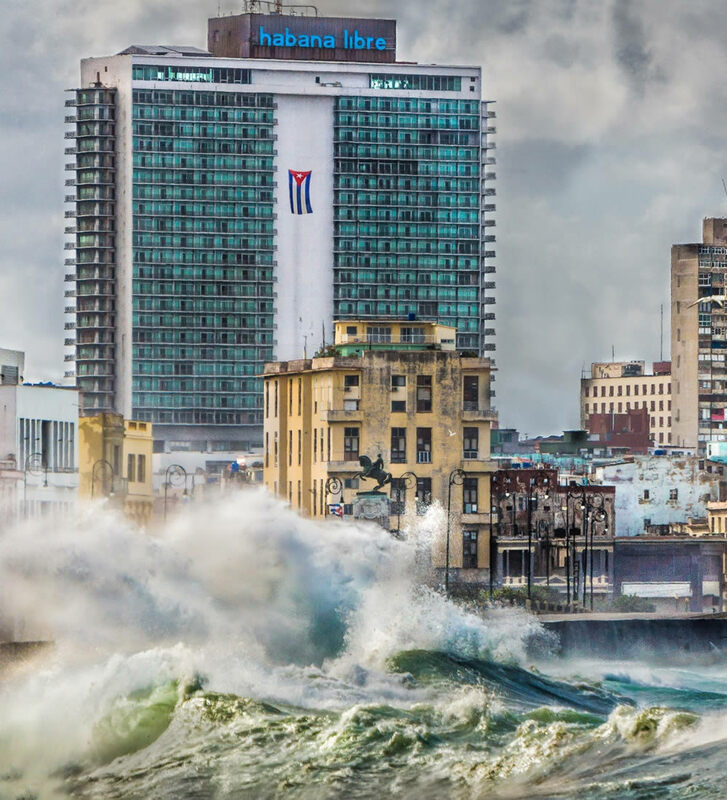 With the Gran Hotel Manzana Kempinski, which opened its doors in 2017, Cuba fills the gap to the upper segment of the hotel industry. Green Alligator has contracts with all resident hotel chains and will find the right solution for every need. Cuba, a journey through time with impact. Al Capone and Mayer Lansky have long been gone, but the Cuban zest for life remains. A safe environment and the stable Caribbean climate make Cuba the ideal destination for your next MICE trip. The warm charm of Havana and the flair of the 50s offer incomparable and unique event locations! Art, culture, history, nightlife, ... Cuba offers an inconceivably wide variety, with the vibrant capital, Havana, in the middle. New inspirations and creative food-for-thoughts have a lasting impact on the participants and offer many topics of conversation for workshops or celebrations ages after the trip. Cuba offers more than «rice with beans» .... Many «Paladares« convince with their creative menus and special ambience. Historic squares in the middle of the largest colonial old town, baroque theaters, enchanted gardens, pompous villas and elegant art-deco mansions can be staged for exceptional meeting venues or for impressive gala dinners. We plan the individual pre- and post-program according to the group’s general program. Over one-hundred nationalities require only an official tourist card, visa, in order to enter Cuba. As we are an official agency with registered office in Havana, the tourist card can easily be obtained from us without further ado. Even for US Travelers (OFAC) we can assist and help. Cuba specialist and DMC with Swiss quality. Generalist with Cuban zest for life. We use our creativity in order to prepare an incentive program tailored to your requirements and budget. "Small but powerful": Our team of 20 employees organizes with passion, efficiency and attention to detail. We never leave anyone out in the rain. Established network and excellent relationships with our suppliers. An error has occurred! Try again later.